YouTube is one of the best and popular social networking website which is run all over the world. Even it is one of my favorite social site, I usually go there and love to watch new songs, film sequences, TV serials, Movies, Ads, News, etc. If you love to watch video than you must aware with YouTube. You can watch any type of video at free of cost. It was started in 2005. You can upload your video also, just signup once. There are million of users who already visited every-time on YouTube. Do You know which are the best alternatives of YouTube? If not, than here i am going to discuss the best alternatives of YouTube. Lets have a look! It is one of the best alternative to YouTube. You can share any type of your videos. It deal with any kind of video whether it is television show, a movie, news etc. You can also create your business portfolio and share it on Metacafe. It will promote and serve your business to grow by hosting and sharing your videos among target audience. It is best and famous alternative of YouTube. With the help of this alternative, you can get any type of video in free of cost. It is the biggest cyber bullies on the internet. You can access any video just by login to your Google account. It is an authority website to access any type of video. It is launched on 15 March 2005. It is an French website. There are millions of users who access this website regularly. You can promote your videos among a broader audience. It was started in March 2007. Its headquarter situated in Los Angeles US. Hulu is available in two different languages English and Japanese. You can watch live shows like TV serials and movies. It is very popular alternative of YouTube and widely famous in united states. If you have an webshow and through that you need to make profit? Then Blip is the right place and right website to be for that. It was launched in 2005 and its headquarters are situated in New York. Just because of some violations, it is blocked in China and Turkey. It is an amazing alternative. It is best video sharing alternative and having an feature of friendly and ease of access. ZippCAST is a brilliant video host which allows you to upload, download and watch videos. It is dedicated to serve original video created by you. Vimeo is started in 2004, November. Around 8 million users and 65 million unique visitors registered per month. This website is banned in India but if you live in other countries you can easily access it. You can share your video and hit by an targeted audiences. It was launched and created in February 2007. It deals with any types of video contents. This website is banned in some countries which include Asia and African parts. Revver founded in 2004 and its headquarter is situated in Los Angeles California. 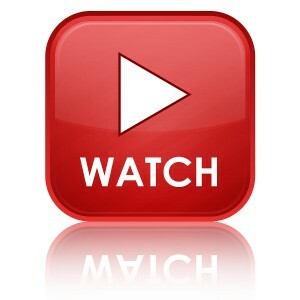 You can watch any kind of video in free of cost. Last but not the least, the VuClip is the final alternative according to this post. It doesn't streams video online but you can download them to your computer or mobile. It is an amazing and famous alternative of video sharing but the only thing is that it does not come along with online streaming options. Also see- How To Make Money With YouTube- Secrets Reloaded!